Fences are erected mainly to create a boundary, or to restrict wandering animals, burglars, and intruders. In a nut shell, fences are for protection, safety, and privacy. Nowadays, diverse fencing options are available to choose from, and each option may suit individual's increasing level of security. Some fencing options are beautiful and stylish while others are simple plain. However, one of the common and most popular fencing options is barbed wire fencing. The barbed wire fencing is mostly used in the agricultural settings though it can as well be used for other purposes. Barbed wire fencing is made by winding together hard pieces of wire cords with regular nodes at intervals called barbs. Each barb projects from the twisted codes at short distance about 6 inches. This fencing option is cheaper and faster to erect than the installation of large wooden or concrete fencing structure. Each node is razor sharp, put in place for establishing control. The nodes prevent closeness of intruders to the fence. Till date, barbed wire fencing is one of the commonest fence you can install around your property. For instance, in the US it is common for land owners to use the barbed wire fencing. However, this is not attainable in every nation. Besides, the size of the property and the intention of property owner are also important factors when considering the barbed wire fencing. To install the barbed wire fencing, several solid poles are erected firmly into the ground at intervals and the barbed wire is stretched tightly between these poles. The barb wire is affixed to each pole. Sometimes to maintain the right heights, intermediate poles (either steel or wood) and a system of tensioners are set in place between poles. Boards may also be added in-between poles to make the fence more robust. Though regular the interval between two poles may vary based on the topography of the land. The interval ranges between 3m on a rugged land to about 50m on a flat terrain. The intermediate poles are set in place at a maximum of every 10m and about 4 or 5 boards are added in-between. The barbed wire fencing is installed for a number of reason. The following are some of the common reasons why the barbed wire fencing option is preferred above other. The barbed wire fencing is installed primarily because of containment. The barbed wire fencing is very good for control and restraint in both a human and non-human capacity. Top-security prisons normally install a type of barbed wire fencing known as razor wire fencing along the prison walls. Since this wire has sharp nodes at intervals on it, prisoners stand the risk of being severely injured when trying to escape. Aside being used to contain prisoners, it is also used for containing farm animals. The barbed wire fencing prevents farm animals from wandering away, escaping, or being stolen. Some barbed wire fencings have electric current running through them, this makes them more effective. Everybody has protection in mind before installing a fencing system and so is for the barbed wire fencing - protection is one of the main reasons of having it in place. The barbed wire fencing can be installed around an area to keep anything out or in as the case may be. For instance, the barbed wire fencing can be installed to keep your vegetable patch or prized flowers away from animals. Farmers use the barbed wire fencing to keep away roaming animals from their valuable crops from. This is because the barbed wire fencing is a cheap fencing option to cover a great distance. A very good way of dividing land areas and keeping them separated is using the barbed wire fencing. Till date, there are existing states and towns which are separated with just the barbed wire fencing. Though, regulations of most states and towns do not allow that anymore. This is because the barbed wire fencing causes injury whenever there is a cause to move the fence due to issues with land division. Even when there is nothing essentially to protect, the barbed wire fencing may just be installed as a deterrent i.e. the barbed wire fencing is actually not protecting anything but just restricting undue access. Installing a barbed wire fencing is very cost-effective because barbed wire is relatively cheaper and fairly accessible. As a result, anyone can install it to prevent undue access. For instance, the train corporations run barbed wire fencing along the side of the rails just to deter members of the public from unnecessarily accessing the railways. Some other companies run the barbed wire fencing just to deter potential thefts of their properties. The use of barbed wire fencing is very common in the army. The barbed wire fencing is used in the army training grounds worldwide. The barbed wire fencing is seen as a very popular way of simulating various combat conditions, during training exercises soldiers would have to work their ways through the sharp points. It is used in team building exercises to strengthen morale and trust among soldiers. 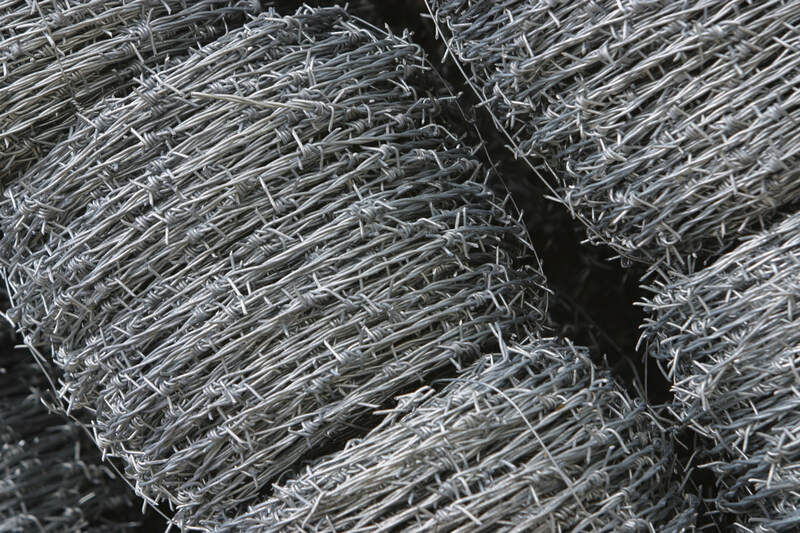 The barbed wire fencing is also used for testing the rigidity and strength of materials like equipment and clothing. Having considered the common reasons why the barbed wire fencing option is preferred, let's consider the major benefits of choosing the barbed wire fencing option. Aside from the fact that the barbed wire fencing option can be easily purchased and installed due to its wide availability in the market today, it offers an impenetrable protection for your property - the quality that makes this option outstanding. The 5 to 6 inches long sharp barbs that project from the twisted wire make the barbed wire fencing impenetrable. The barbed wire fencing is designed with such a tough material that can knock the toughest bull or angriest animal unconscious if it dares cross the fence or crash into it. More so, the hand razor wire type uses razor pieces interspersed along the wire. These razors are very sharp and dangerous. The presence of either the barbed wire or razor ribbon coupled with its structure, height, and durability makes it becomes impossible for stray animals or intruders to enter into your property. The barbed wire fencing is actually adaptive and suits multipurpose uses, this makes it highly versatile. The barbed wire fencing has been used in a number of areas, which include homes, building, playing ground, training ground, leisure areas, land, hospital, properties, sport centers, transportation, agriculture, industrial areas, commercial areas, etc. This fencing option is used by owners of commercial property to reduce the risk of illegal entry and theft during late hours. The barbed wire fencing is useful anywhere you want to keep either animals or people in or out. This incredible versatility can be part of your security plan to keep intruders off your properties. The barbed wire fencing option is one of the most inexpensive fencing options available in today's market - inexpensive installation, easy and inexpensive maintenance, coupled with an unmatched protection. It is widely adopted due to its low cost and the reliable protection it offers - intruders will have a second thought before attempting to get inside the perimeter of your property. As an advice from an expert, the barbed wire fencing is ideal for those who are working with low financial budget. Another point is that the barbed wire fencing can be removed with marring it, reused, recycle, and moved as long as adequate care is taken. 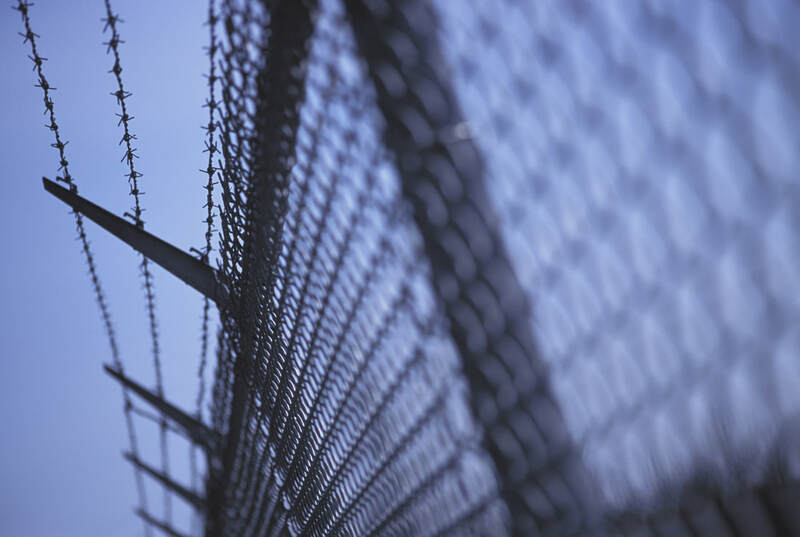 Due to its commitment to providing protection and security, barb wire manufacturers have reinforced the durability and strength of the wire to ensure stronger protection and security. Because the barbed wire fencing is installed to protect various kinds of properties, it now comes in different customized specification requirements such as height, size of the edges, length of the edges, diameter of wire, etc. these parameters can be customized according to your requirements. The barbed wire fencing is very quick to install. It doesn't take days to get the barbed wire fencing installed, this means that you won't have to waste your precious time. You only need the fence poles or barbed wire, and you're good to go. Remember, the barbed wire fencing can be difficult to handle because of its barbs. However, it can still be easily installed when compared with other fencing options. I would recommend that you hire an expert in handling barb wire fencing to install your barb wire fence. This is because professionally-handled barbed wire fencing installation will not snap, break, or crack for a long period of time. Thereby saving you both maintenance and repair costs. When it comes to securing your property, you need to take it more seriously. Though the simple fence offers a level of protection from animals and intruders, there is nothing wrong if you move for additional protection and barbed wire fencing is an option that fits in perfectly. Before mentioning the advantages and disadvantages of barbed wire fencing, I would like to talk about how the barbed wire fencing can be best used. 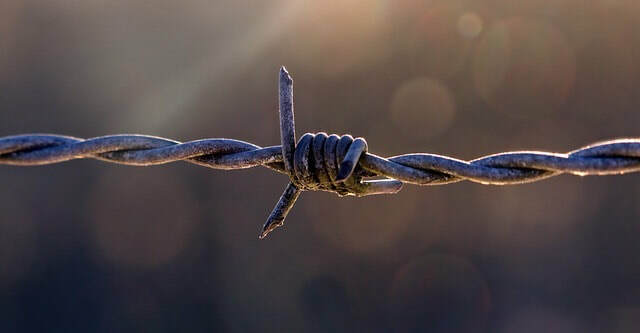 For sure, the barbed wire fence is actually versatile and can be used virtually for any purpose, however, the barbed wire fence is more suitable and work best for some functions than others. To start with, you already know that the barbed wire fencing is inexpensive and offers additional security. Installing the barbed wire fencing for livestock containment is a very good idea. Cattle have thicker skin than other livestock, so it takes extra effort to make them stay within the fence. The barbed wire fencing would add the extra effort. Besides, it is less likely that Cattle would suffer any serious injury if they come in contact with the barbed wire fence. More so, livestock would keep away from the fence once they know what they stand to suffer on getting so close. This makes the barbed wire fencing a good option for livestock confinement. Nevertheless, the barbed wire fencing option is not advisable for confining horses. Horses, on the other hand, have a higher tendency to attempt breaking through fences. The barbed wire fence would cause them substantial injury. There are certain rules in place that if a farm owner intends to use the barbed wire fencing for horse containment, such barbed wire fencing must be separated by "a secure guard fence or electric tape." 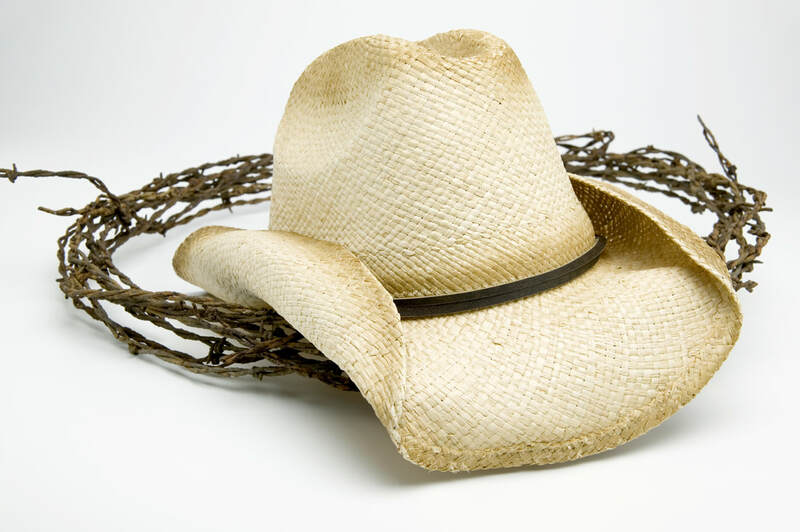 Therefore, if you have the mind of installing the barbed wire fencing for your farm, equestrian center, or around your riding stables, it is advisable that to understanding the abiding rules that governs the use of barbed wires on farm. It is advisable to install the barbed wire fencing anywhere you want maximum security. It is best to be used in prisons or stores with expensive machinery, this will either keep people in or out. With the barbed wire fencing, nobody can risk escaping or breaking-in without suffering a level of injury. The barbed wire fencing acts as a deterrent to thieves, who will see the fencing structure and choose to look away instead of being injured. The intimidating appearance of the barbed wire fencing alone is sufficient to possibly scare intruders and keep your property much more secured. Do you have an impressive farm or garden and want to keep rodents, rabbits, deer or varmint generally out of it? The barbed wire fencing is a nice option. Do you keep nursery beds or you're involved in greenhouse business, and have the mind of keeping varmints off your growing assets? The barbed wire fencing is an option. You can either build the barbed wire fence closer to the ground or a bit higher as the case may be to either discourage little rodent or bigger herbivores from using your assets for their snack. Don't forget to add gate so your easy entry into the garden and crops else you'll stand the chance getting yourself injured too. You can use the barbed wire fencing to mark out the exterior boundaries of your property so that your neighbors or anyone else would not infringe your property. Installing the barbed wire fence is best if there had been frequent reports of security issues such as trespassing or break-ins. However, don't hesitate to check the standing law within the locality to know if residential areas are permitted to install the barbed wire fencing on exterior boundaries. Everybody believes in safety first and only few people would dare challenge the barbed wire fence. Hence, municipalities and companies can install the barbed wire fence block off unsafe areas. For instance, railway crossings are popular places you would find the barbed wire fence. This is to prevent undue access or unauthorize crossing of the tracks by either people or animals. Also, in areas with quick sand or where people can either get run over by high-speed vehicles, get drown, or sustain electrical shock etc. the barbed wire fencing can be used to block off uninvited persons. Considering all the available fencing options that offer a level of security such as the concrete fence, wooden fence, vinyl fence, steel fence, chain-link fence, and barbed wire fence etc. what advantage does the barbed wire fencing option has? As far as security is concern, the barbed wire fencing option is the best choice. Sometimes, the barbed wire fencing is added above the concrete fence, this is to afford additional security. The barbed wire fencing is visually intimidating, this possibly is sufficient enough to scare off intruders. More so, an intruder who chose to scale your barbed wire fence would regret undertaking such action after suffering injury from coming in contact with the barbs. The barbed wire fencing creates an impenetrable protection. Having such a scary, visually intimidating fence, which has the capability of protecting your properties might be of great advantage in areas where trespassing and vandalism are of serious concern. The barbed wire fence offers real protection for your large property farms notwithstanding the size of your farms. 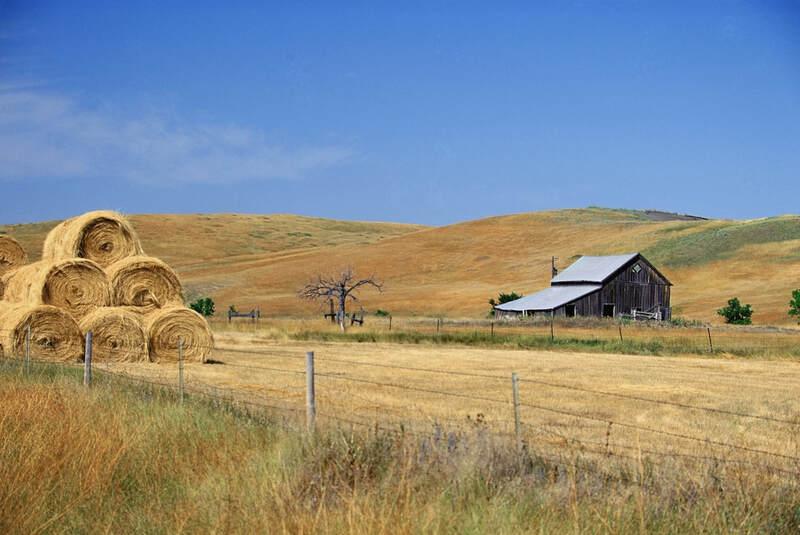 Installing the fence in the right place would keep your farm animals in and stray animals and varmint out. As well as protecting your crops from anything that can have unauthorized access to them. Well, the barbed wire fencing also has its disadvantages. 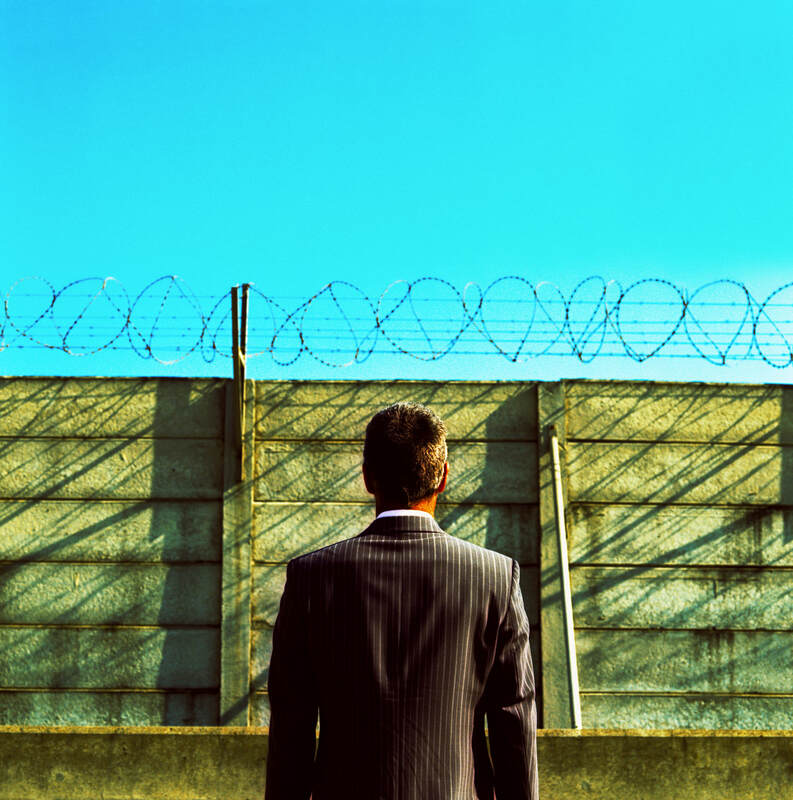 People may find the barbed wire fencing standoffish and unsightly especially when it rusts. This makes most people see the barbed wire fencing as a bad thing. More so, innocent people, kids, or unsuspecting trespassers may be injured by the barbed wire fencing. This is common when the farmers or property owners have pets, kids or frequent visitors. Conclusively, installing the barbed wire fencing has two great benefits over other fencing options. These are additional security and cost effectiveness. The fact that the barbed wire fencing looks so scary and visually intimidating mans it can deter intruders, vandals, and most burglars from afar. Whenever one gets caught in the barbed wire fence either by trying to get over it or cutting through it, it is a bad experience. This is a good reason why intruders are scared off. If an intruder gets entangled in the barbs, it can penetrate and pierce deep into the skin and cause severe injury. The barbed wire fencing is good for prisons since it would effectively keep prisoners in. Hence, the fence is useful in every site where high security is required. But the barbed wire fencing option is not too good for residential property. Though it offers incredible security, the home owner may be prosecuted should any child get injured by the fence. Before you venture into installing barbed wire fencing around your residential property, always consult the local authorities to know such installation is permitted and how it should be carried out. Barbed wire fencing installation is not a do-it-yourself thing, get a professional company to get it installed for you. Consider your budget, the purpose of installation, and the abiding laws before concluding on barbed wire fence installation. Remember, all these will eventually affect your fencing option. If you choose the barbed wire fencing, be careful not to handle it without unless you are protecting your hands with thick gloves. Do not stretch the barbed wire too tightly, this is because if it breaks it can recoil and cause injury to anybody standing nearby. If you're an amateur, don't try to fix the barbed wire fence yourself. Installation of the barbed wire fence is not a task that can be handed well by an amateur. Hence, hire experts and skilled installer for your barbed wire installation. Finally, the barbed wire fencing is a great and best option for securing any property. It offers additional protection and gives you rest of mind without stretching you beyond your budget. It last longer but with adequate maintenance and repairs when necessary. Are you ready to install the barbed wire fencing around your property? Discuss your barbed wire fencing with neighbors, local authorities, and professional installers. Don't forget to consider proximity when choosing your installer!